The total carbs (carbohydrates) are listed in bold letters to stand out and are measured in grams (g). 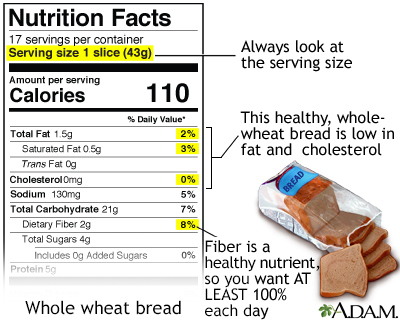 Sugar, starch, and dietary fiber make up the total carbs on the label. 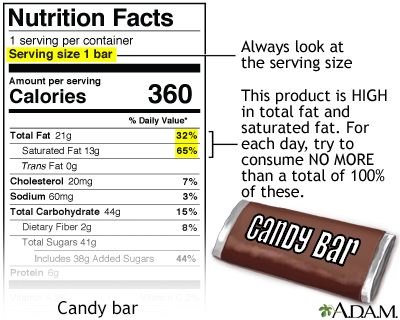 Sugar is listed separately. All of these carbs except fiber can raise your blood sugar. If you have diabetes and count carbs, you can subtract the number of grams of dietary fiber from the total carb number.